We prepare your children for the challenges of tomorrow. We aim to develop the intellectual, emotional and social independence of a child in a multi-cultural setting. A place built to nourish your child's learning. Here at Safa, we ensure knowledge and growth for your little ones. Our centre was established in April 1979 under the name of Safa Kindergarten Nursery and New Safa Nursery. In 2014, we changed our name to Safa Early Learning Centre. Our centre is approved by KHDA. Both our centres are ISO Certified, award winning centres offering the EYFS British Curriculum. 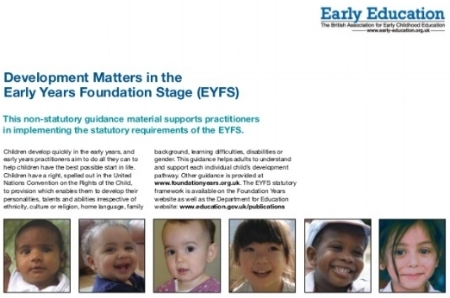 The EYFS statutory framework covers the seven areas of learning and development. All our classrooms are spacious, bright and well equipped to meet the needs of each age group at our nursery. All our educators speak multiple languages and are qualified in Early Childhood Education Level 3 with many years of teaching experience. Our classroom assistants hold Level 1 in Early Childhood Education. For the general welfare of all children we have a Registered Nurse at the centre and a Doctor who makes regular scheduled visits to monitor the health and development of our children. All educators and classroom assistants are trained in Pediatric First Aid. We follow the British Curriculum by delivering the Early Years Foundation Stage (EYFS) framework. The EYFS framework is a child centred curriculum. It approaches early years learning as a holistic, integrated focus on children's creative expression, physical and communication skills as well as emotional and social development. Learning is carefully structured yet allows for exploratory, child-initiated experiences. Our centres work in partnership with external services providers such as, speech therapists and occupational therapists. The therapy sessions are held conveniently during the school hours in the centre's learning support room. Our popular Soccer lessons provide specific ball focused activities that improve motor co-ordination in two to five years old children. The coaches are highly trained and specialised in designing and carrying out bespoke curriculums that focus on the individual child’s physical development. The most popular martial art. It is about improving confidence, reflexes & co-ordination, strengthening the body, discipline and training the mind. Dance is a great way to develop creativity and musicality by learning to move according to the tempo of various musical pieces. It also builds all-over muscle tone, enhances flexibility and improves core strength. The lessons are fun and creative and structured to gradually build a child’s confidence, skills, talents, motor co-ordination, balance, strength and rhythm. Yoga presented in a child's language can help counter the stress experienced by little ones living in a hurry-up world. Learn the benefits of teaching yoga for kids.Children derive enormous benefits from yoga. Physically, it enhances their flexibility, strength, coordination, and body awareness. In addition, their concentration and sense of calmness and relaxation improves. Doing yoga, children exercise, play, connect more deeply with the inner self, and develop an intimate relationship with the natural world that surrounds them. Yoga brings that marvelous inner light that all children have to the surface. *Fill out the registration papers to bring to our main desk to enroll.